Facebook has tapped the “like” button on a downtown office. The social network plans to move into the entire seventh floor of 1900 16th St., according to city permit records. The space is 22,800 square feet, according to the records. Facebook did not respond to a request for comment. CBRE broker Chris Phenicie, who represents the landlord, declined to comment. The seventh floor of the 17-story tower can accommodate up to seven corner offices and up to 110 standard offices and work stations, according to the building’s leasing brochure. 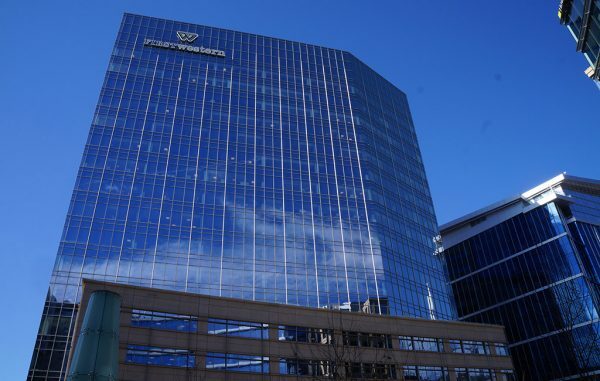 The tower is topped with signage for anchor tenant First Western Trust Bank. Other tenants include PricewaterhouseCoopers LLP. Facebook previously worked out of coworking space Thrive in the Ballpark neighborhood.